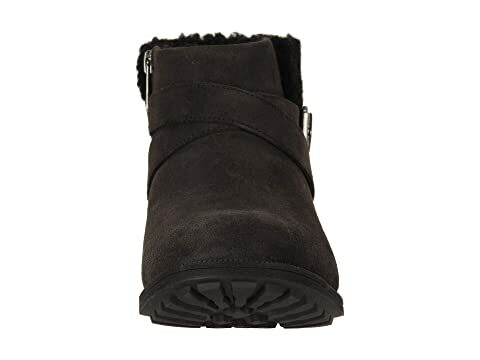 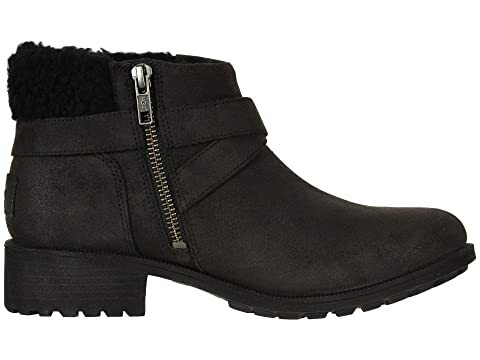 Beat the cold with the cute and cozy Benson Boot from UGG®. 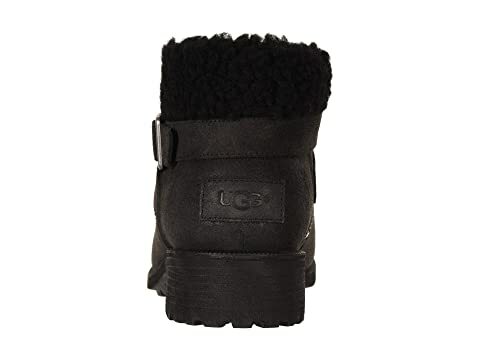 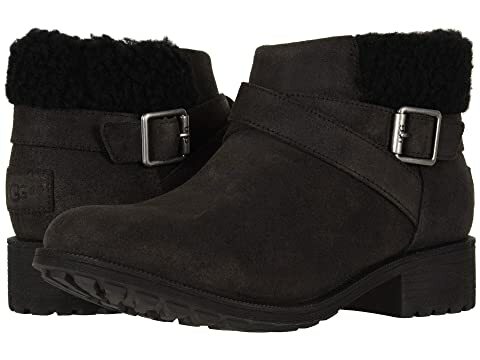 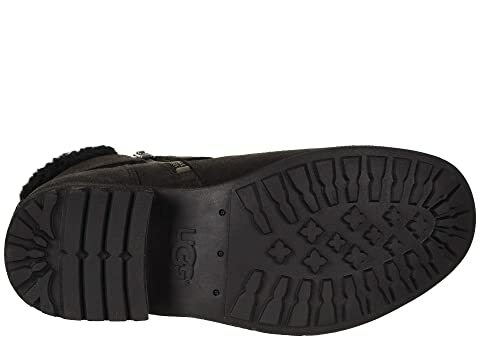 Waterproof leather upper features a curly UGGpure™ wool collar with a round toe. 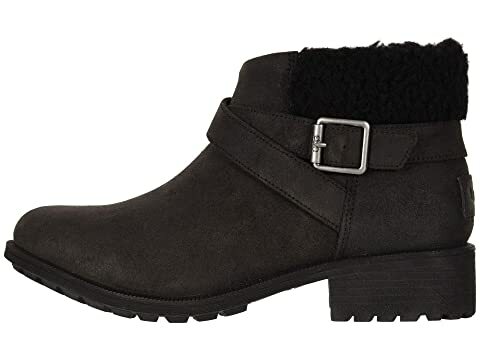 Decorative wraparound ankle strap with a functional medial side zipper. 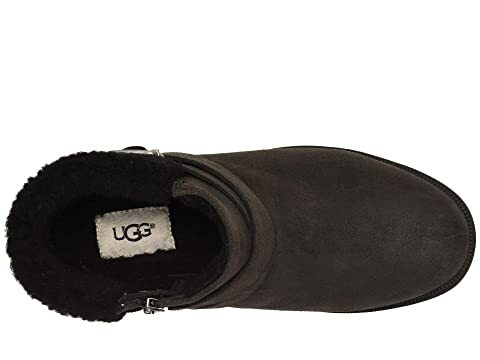 Plush and cozy UGGpure™ wool linings and footbed.